It is a Danish word that is used to acknowledge a feeling or moment as cosy, charming or special. 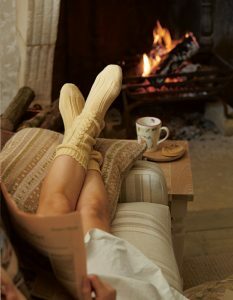 You cannot buy Hygge, it is gained from experiencing something that creates a feeling of contentment or well-being. 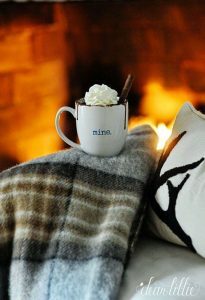 Sitting in front of a roaring fire with a steaming mug of hot chocolate could inspire a Hygge moment. 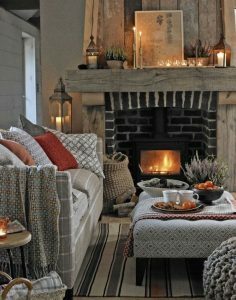 As the nights are drawing in our thoughts turn to getting cosy - to seek Hygge in our lives. Lighting the first fire of the year is an exciting moment and definitely lives up to the principles of Hygee. 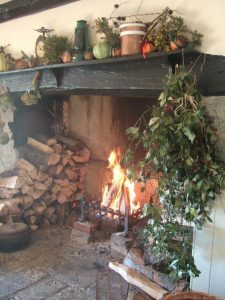 Living in draughty old country homes can be difficult in the winter months and a fire becomes as essential part of keeping warm. There are many choices when choosing a fire. 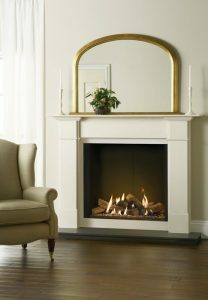 The first thing to decide is whether you want an open fire or a fire with a glass frontage. An open fire will inject a real sense of cosiness into any room, but they are not as fuel efficient as glass fronted fires. 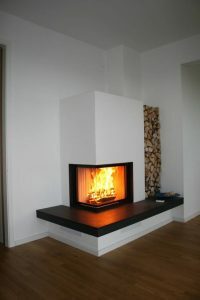 A woodburner provides a high level of heat efficiency and great atmospheric flames. 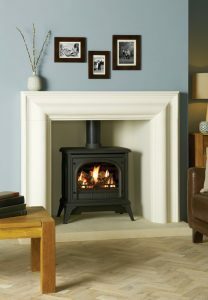 If you don't want the trouble of burning wood or other fuels a gas fire could be a good alternative. 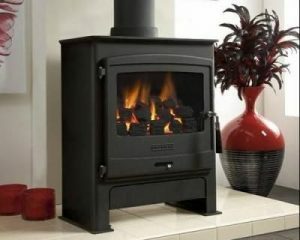 This is particularly true for older people who may struggle with heavy logs or coal and cleaning hearths or woodburners. 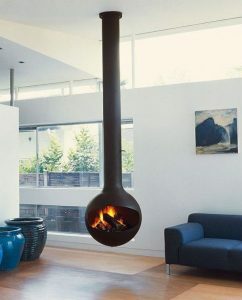 There are so many different models of gas fires on the market these days. 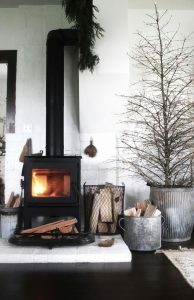 Above are examples of a traditional log effect open fire and woodburner. 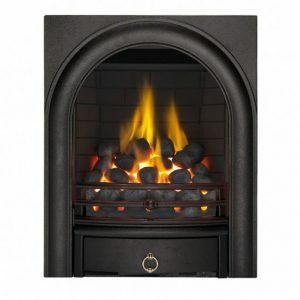 They can offer highly realistic coal or log fuel beds and have the benefit of being able to control the flame and heat to your exact specification often via remote control! 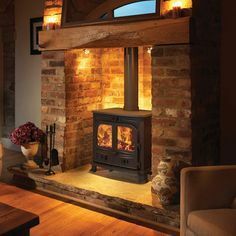 Another benefit of wood and gas fires and stoves is that they do not require mains electricity - should you be unlucky enough to experience a power cut you will be able to keep one room in your house warm and cosy. 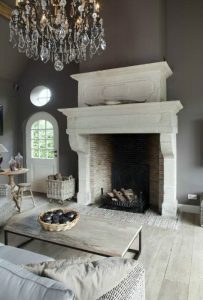 The scale of designs available is massive - from ultra contemporary wall mounted fires the the very traditional inglenook there is something for every taste and budget. Bare floor boards can look fabulous but the small gaps between the boards can really let a draft in. Make sure you fill the gaps. Even new doors can benefit from fitting draft proofing strips between the door and frame - don't forget internal doors. Draughts occur in cracks between window frames and surrounding walls - use sealant or putty to fill these gaps. Also hang heavy weight lined curtains at single glazed windows. Install draft strips around the frame to your loft hatch and insulate the door itself with a polystyrene slab on the upper side. All these tips will help you stay warm and cosy this winter and will help keep fuel bills down - surely that is something to create a hygge moment for anyone!